Sunset at the Galveston Island Brewery. Less than a year after brewing its first batches of beer, Galveston Island Brewing has begun offering weekend tours—and just in time for Spring Break. The tours take place every Saturday at 1 p.m. and, for now, are completely free. And yes, unlike other brewery tours, this one actually endeavors to teach you a few things before taking you into the taproom. 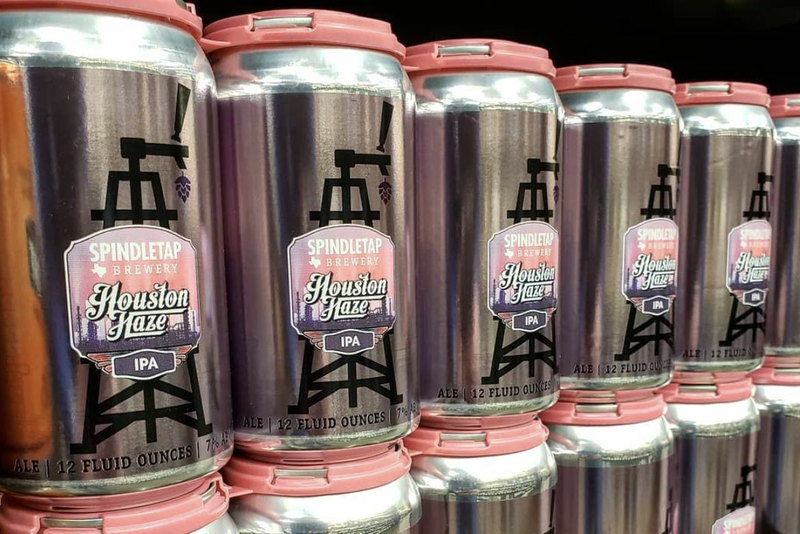 The tours "highlight the process of making beer, from grain to glass," says owner and head brewer Mark Dell'Osso, who formerly captained a tugboat before opening Galveston Island Brewing early last summer. 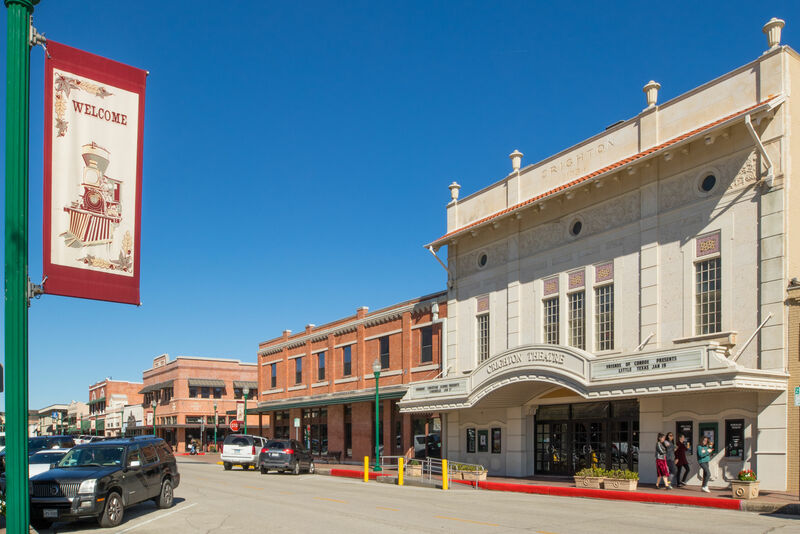 Dell'Osso spent three years saving money to open the brewery, the first of its kind to operate on the island in decades—and Galveston has embraced its own craft brewery mightily, helped along by not only the quality of the beers but the welcoming enviroment of the brewery itself. 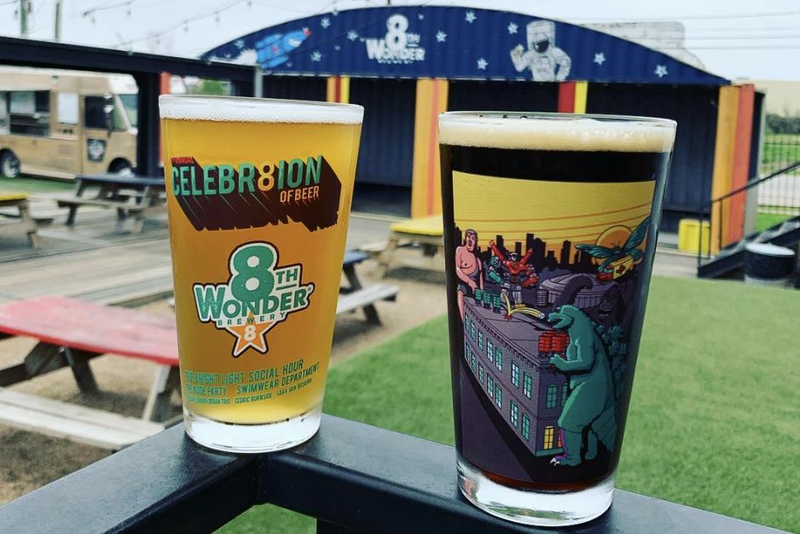 "We are a family-friendly brewery," says Dell'Osso, who lists "an outdoor yard area complete with playground, yard games, and 'sundowner seats' for enjoying Galveston's beautiful sunsets" among the brewery's many amentities. Of course, if you're just there for the beer, Galveston Island Brewing has you covered on that front as well. "There is a large variety of GIB beers in the taproom that are available nowhere else," says Dell'Osso. We recommend starting with its flagship beer, Tiki Wheat, and venturing out from there. This is easy to do with the brewery's 4-ounce sampler flights, though if you find something you really love—a Sundowner Blonde or a Ze German ale—you can purchase it in pints or half-pints as well. And though you can bring your own food, GIB supports its fellow islanders by selling muffalettas from Maceo Spice & Import Co. as well as a ballpark-style nachos and soft pretzels. Can't make it down for a Saturday tour? Don't worry; the GIB taproom is open seven days a week—from 4 to 10 p.m. Monday through Friday and noon to midnight on Saturday and Sunday.